LBD & ONESIES - A Lifestyle Blog: Timex Hero Watches: A Perfect Match for the Supermom! Timex Hero Watches: A Perfect Match for the Supermom! I've always considered myself as a happy-go-lucky when I was younger. I guess I was at a phase where I didn't mind if things happened my way or not. But ever since I incurred permanent responsibilities in life and I realized that I am on this by my own, I have to step up my game and stop being the mediocre-self I've always been. Being a single mom has its ups and downs. It will never get any easy and there'll always be more challenges that I have to face every single day. Nevertheless, I have to be on the go all the time! I can never quit. I have to play two roles in my son's life, that is, to be his dad and mom. This is when I consider myself to be a superhero for him. Timex believes that there's always a hero in each and everyone of us - for me, it is being a super mommy! Thus, they came up with several watches to reveal and celebrate the hero in us. These watches include the Ironman Run Trainer 2.0, Adventure Series™ Linear Indicator Chronograph with Intelligent Quartz™ Technology, Ironman Sleek 250-Lap Full-Size, Expedition Field Chrono, and Originals Vintage Inspired 1978. If there would be any of these watches that would best match my supermom personality, it would definitely be the Ironman Sleek 250 watch. Among its many features is that it has a TapScreen™ technology easily activates laps/splits by tapping anywhere on digital screen. For me, it looks simple but it always gets the job done. It looks classy and fragile but it is actually strong and tough. 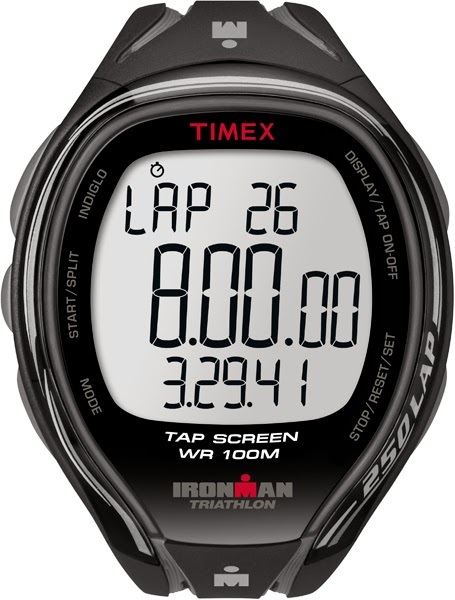 That's how the Timex Ironman Sleek 250 watch and me are very much alike.